Does your strata building need a caretaker to help with daily administration? 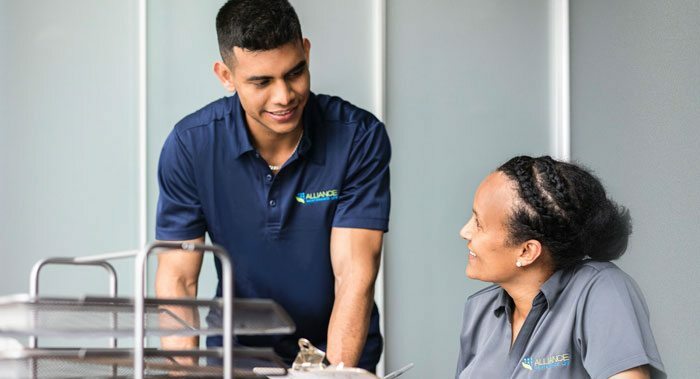 Alliance Maintenance has a team of dedicated professionals who can handle the cleaning and caretaking aspects that take up strata councils’ most precious resource – time! As part of our Strata Caretaking services, you get the benefits of our general Strata Cleaning services PLUS an onsite caretaker who would manage day-to-day administration. Take the stress off and let an Alliance team member be the go-to person in your building! The advantages of using eco friendly chemicals go far beyond the disadvantages of cost. The myth behind "green chemicals" being too costly and ineffective is now over. With advances in technology many of the most effective chemicals follow biodegradable manufacturing practices. 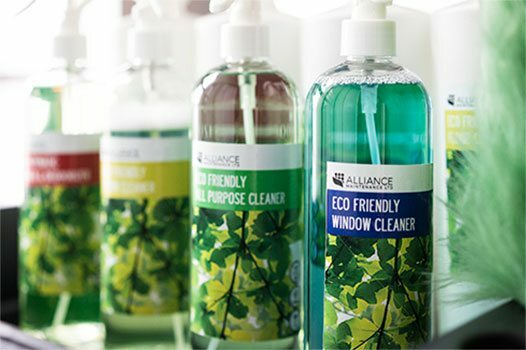 With the right team of experienced cleaners, the right eco friendly chemicals, and the right practical cleaning methods turning your building's carbon footprint on its backside is now achievable.